The Low-Down: Is Having the Most Popular Photo On Instagram Worth Anything? Is Having the Most Popular Photo On Instagram Worth Anything? Possibly, in terms of generating advertising revenue, unless, of course, the whole thing is a sham. 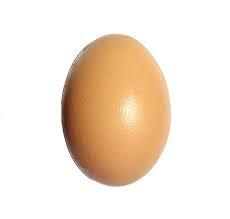 A picture of a brown speckled egg is officially more popular than every other picture ever posted to Instagram. It’s the internet in 2019, so while that’s sad, it’s not exactly shocking. What is at least kinda shocking is that the egg not only came out of nowhere — the photo was posted just 10 days ago — but the Instagram account that posted the egg picture, @world_record_egg, inexplicably has 4.5 million followers despite posting just this one — yes one — photo. The account’s owner is still anonymous, but whoever it is, they appear to be sitting on a gold mine. It seems possible, if not likely, that @world_record_egg will sell a sponsored post to a brand hoping to ride the bizarre popularity wave that the egg has created over the past 24 hours to get in front of the account’s 4.5 million followers. Selling sponsored or branded content is the main way that internet A-listers with massive social followings, like Kylie Jenner — the member of the Kardashian clan whose most-liked Instagram post was dethroned this weekend by the egg — make a killing online. Influencer accounts with the same general audience size as the Instagram egg can make tens of thousands of dollars for a single post, and much more if they sign on for a series of posts or a full campaign.